For individuals with autism or for parents of children with autism, the month of April takes on a whole new meaning. April has been designated as Autism Awareness Month around the world. For many well meaning people, it’s a month dedicated to bringing awareness to those with autism, and we can all feel good about doing something positive. For others, including many autistic adults or parents of autistic children, the idea of autism awareness month does just the opposite. For some, the nationally recognized month inadvertently causes more harm than good by treating autism spectrum disorder as a tragedy or a disease that must be cured. 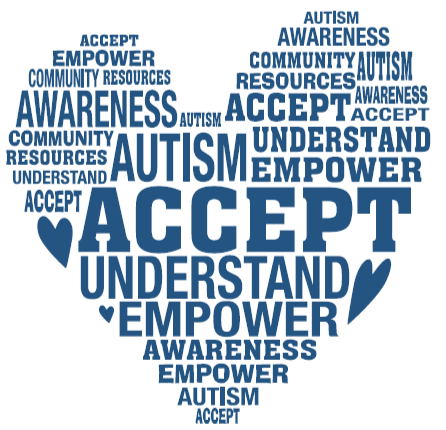 For more on that perspective, I encourage you to check out this article published by The Aspergian which identifies 10 reasons why some are not thrilled about autism awareness month. This year, we did pledge to “go blue” in support of autism awareness. We partnered with KultureCity and agreed to donate a portion of all April proceeds to the non-profit who, through various programs, is effecting change in communities for those with autism and sensory needs. We quickly learned that leading with a “go blue” statement may not have been the most ideal positioning. This and other terminology - autistic person versus person with autism - really can mean something different for each individual. It’s a very personal preference as we understand it now. However, in all of our research and discussions we do know one thing to be universal and that is acceptance and inclusion. Accepting each individual and diagnosis, and taking action to ensure inclusion within the communities is where we should be dedicating our efforts. Our partnership with KultureCity does just that. In further support of autism acceptance, we’d like to present stories from our users who have offered to share their journeys with autism. They each have their own perspective and terminology when it comes to autism and, like any parent, experience unique challenges and wins on a daily basis.